EAC Mini EACIL20 is an industrial IoT Gateway with low power consuming Intel® Apollo Lake N3350 1.1 GHz processor and great expansion possibilities. Expansion module offers great options from additional serial interfaces, USB ports to Bluetooth 4.0, Wi-Fi and 4G. 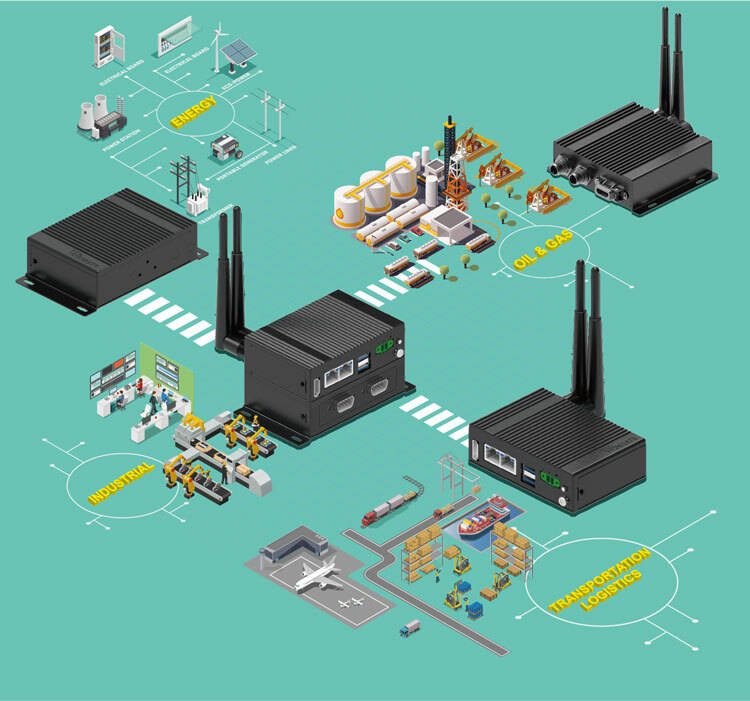 Wireless connectivity and all necessary connectors allow the EAC Mini EACIL20 to send data from manufacturing facilities directly to cloud server. Compact size and expansions with more than 30 different combinations make EAC Mini is suitable for smart factory and machine automation applications. EAC mini EACIL20 also provide the outdoor SKU with IP67 protection, and this makes EACIL20 be able to applied in Smart City or outdoor environment.